Some time ago, we had a pleasure to visit York, one of the most beautiful cities in England and were genuinely impressed by the city. I usually prefer making one-day trips from London to other cities in England. However, we were invited by Visit York and stayed in York overnight. Spending a weekend in York was probably the best idea as York has so many things to offer its tourist that one day in York is not enough. 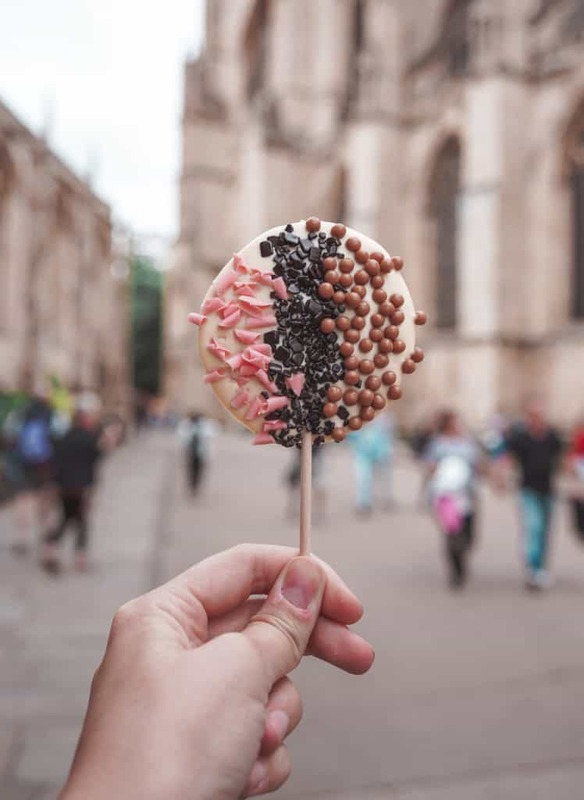 In this post, I will share with you our itinerary for York, tell you how did we spend our weekend and tell you where it’s best to eat in York! I wanted to say many thanks to Visit York for bringing us to York via this Press Trip and telling us about so many places you can visit #OnlyInYork. 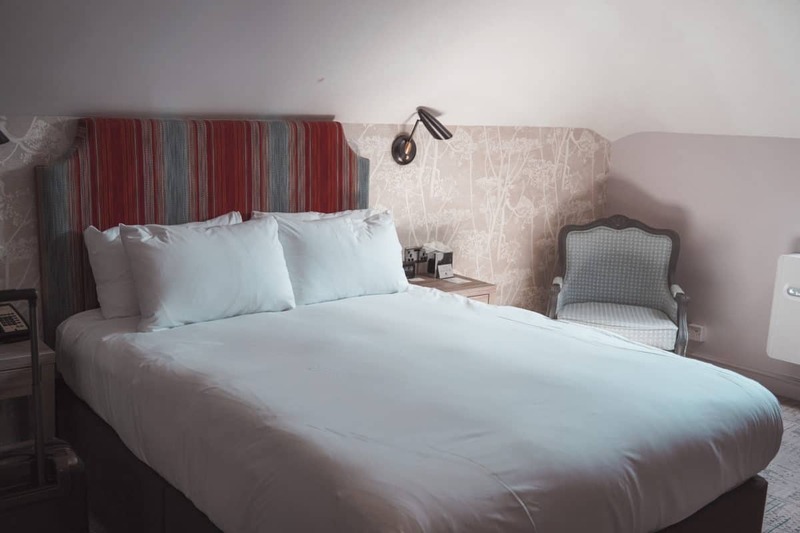 We were staying in DoubleTree by Hilton in York City centre – just 5 minutes away from the Minster – the location really couldn’t have been any better, and the hotel was great. Check their rates out on their website or book through one of the hotel booking websites. Depending on where you’re departing from, you can get to York by bus or train. Or by car, if you have one. 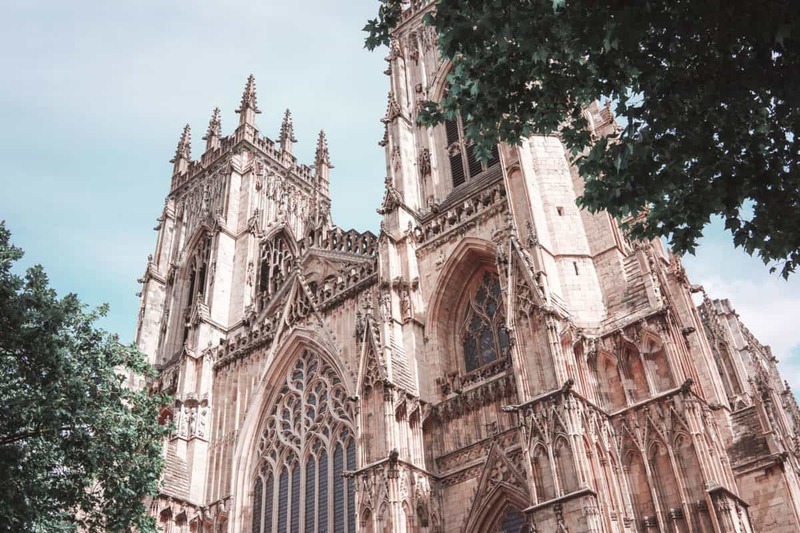 We visited York from London by LNER trains (sometimes they are pricey so you could book online here – advance tickets are often way cheaper). Alternatively, check your routes using my favourite service – the Trainline (they have the cheapest train tickets). Spending a weekend in York is very easy! We arrived in York at around 11:20 am and discovered that our room at DoubleTree by Hilton was already ready for us (so early, that was great). So we could start exploring the city by visiting the Henry VII experience located in a small tower in the city walls near the Monkgate. We had YorkPasses from Visit York so that we could visit pretty much all the attractions in York free of charge. 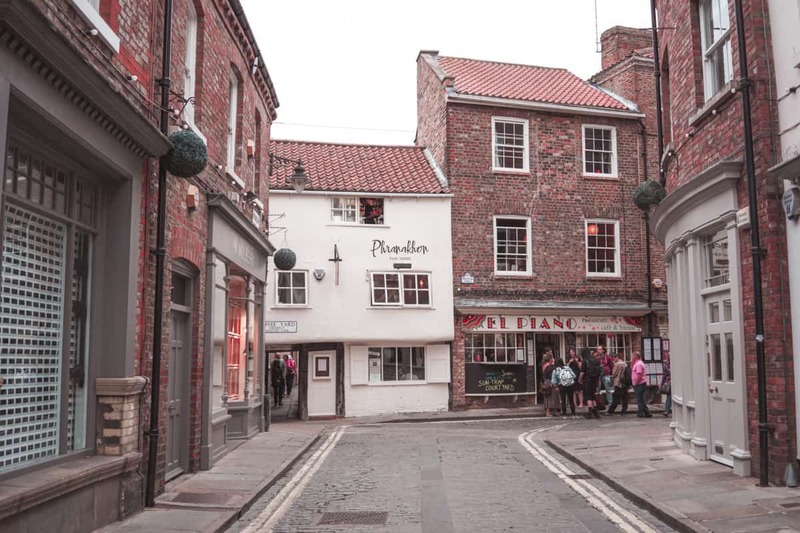 Here I have a list of all the attractions I loved in York, so feel free to check it out if you’re planning to do sightseeing in York. 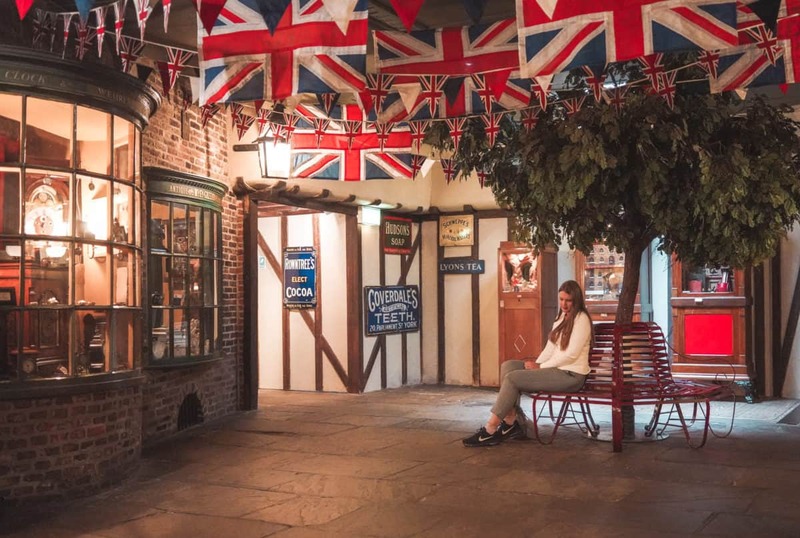 I liked the Henry VII experience, though, I thought it’s suited more for children rather than adults, so I wouldn’t say it’s the attraction that you MUST for sure visit in York. Later on, we started exploring the city walls. The city walls of York are free, and you can see some fantastic views of the city from there. If you want to cover all the parts of York City Walls, prepare to walk a lot, as York City Walls are the longest ones in entire Great Britain. 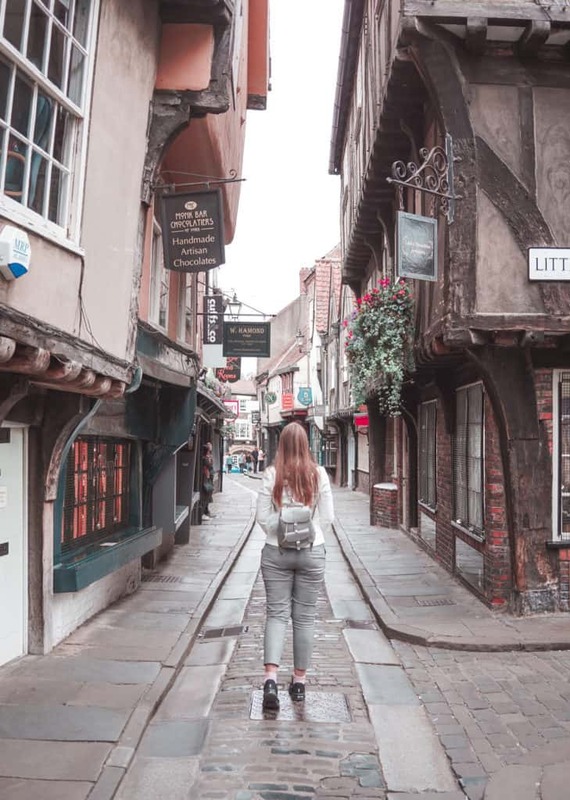 If you’re interested in some great photography spots and Instagrammable places in York, I’ve got a post for you as well – read it here! It was the lunchtime when we got out of the city walls, and we decided to grab a bite of something very traditional in Yorkshire. 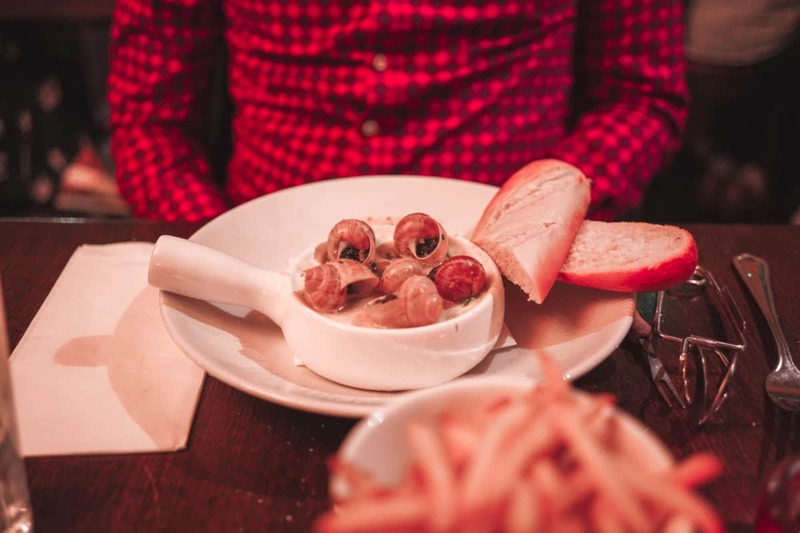 If you’re wondering where to eat in York on the cheap, you should visit The Yorky Pud – the queues could be massive on the weekends, but it’s so much worth it, especially if you haven’t tried an authentic Yorkshire Pudding! 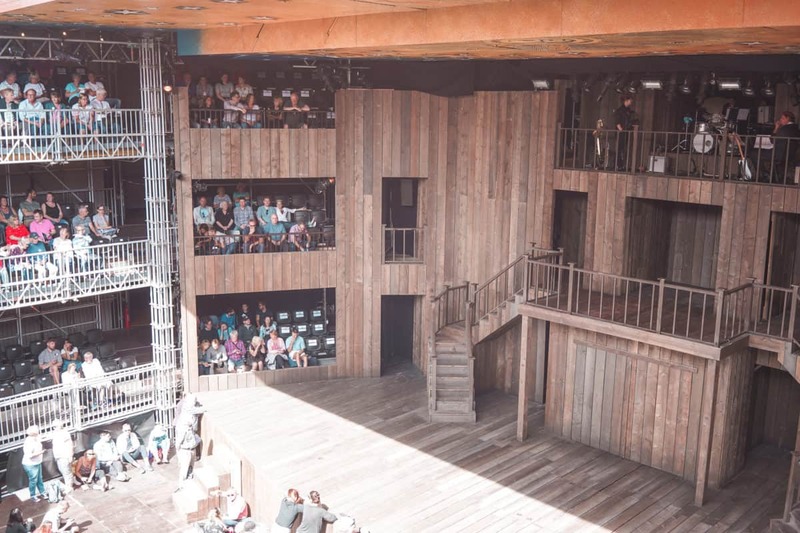 Later on, we headed to the Shakespeare Rose Theatre, which came to York for the summer season. The Shakespeare Rose theatre looks a bit like Shakespeare Globe in London, but it’s only going to be in York for a couple of months. 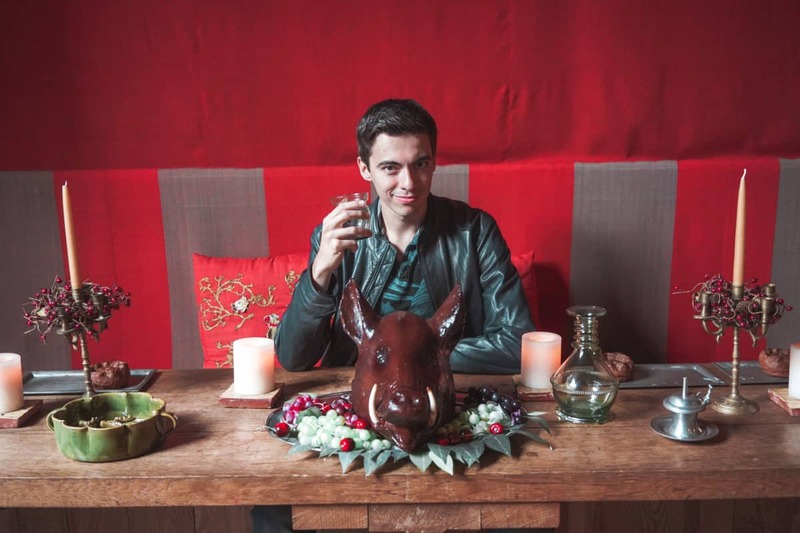 We were kindly provided tickets to the Richard III performance, and if you’re a fan of modern interpretation of classical plays, you’ll like it. After the performance, we headed to Clifford’s Tower to see the best views of York and later headed to the York Castle Museum that was both interesting and amazing for photos as well. 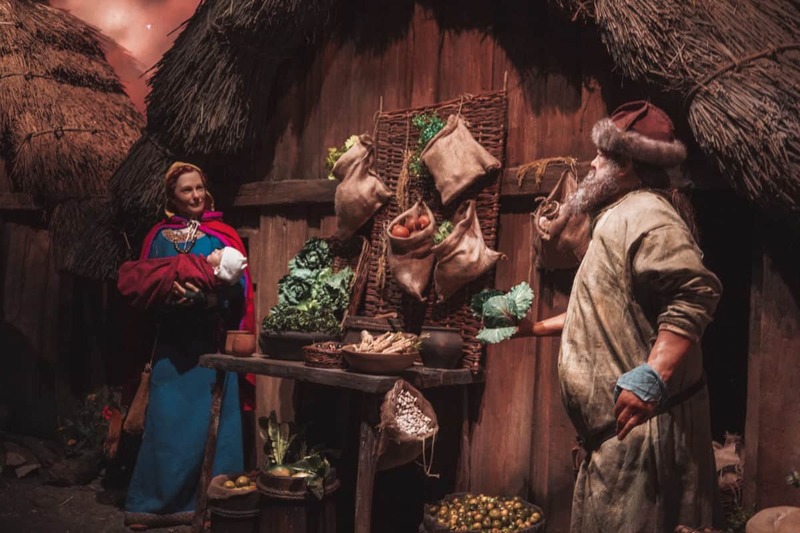 We were just on time to catch the last admission tour at the Jorvik Viking Centre, where we explored the lifestyle of people in York or Jorvik during the Viking times of York. The Viking Centre was quite a surprise as we didn’t expect a beautiful ride through the moving figures of Vikings and the tour at the same time, so it was almost like Disneyland. 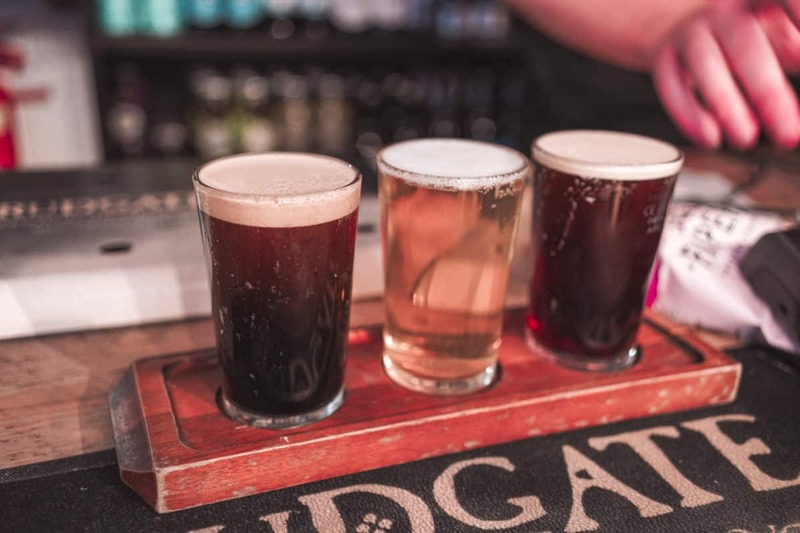 After exploring the Viking life in York, we headed to the Shambles Tavern to try the best local beers from York and Yorkshire that were good. 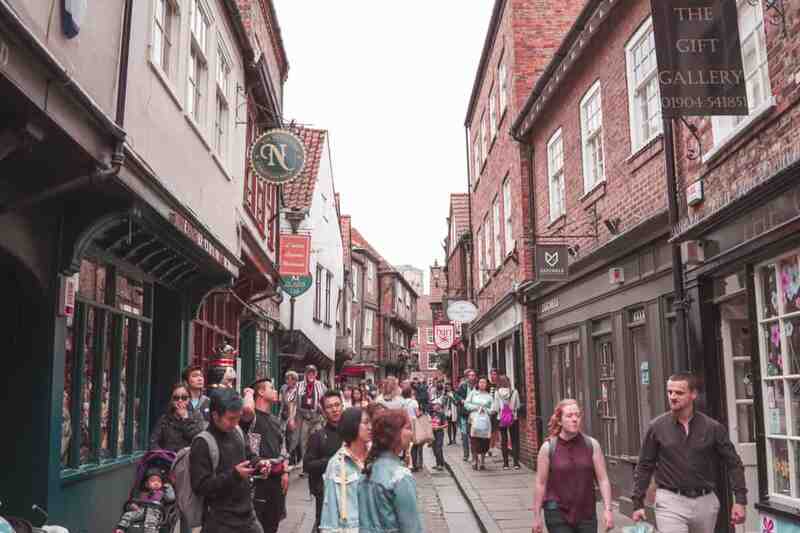 After 7 pm, most of the tourists have left York, and it was finally possible to take photos at the Diagon Alley of the real-life – Shambles, the oldest Merchant Street in the world (or one of the oldest at least). Shambles is so pretty that it’s definitely the most beautiful street I’ve ever seen and it’s now my favourite street in the entire world. At 7:30 pm, we joined the Ghost Hunt Tour of York, where, it seems, all the remaining overnight tourists went – we were at least 120 people! Imagine how huge the crowd was. Our guide took the narrowest closes and the busiest streets, so our group was moving quite slowly. Nonetheless, everybody was able to hear and see as the guide was using the ladder. It was already 9 pm when we got to a lovely French restaurant Rustique that we liked a lot and would recommend in a heartbeat. Unlike most French restaurants, Rustique was very affordable and even had a prix-fixe menu (available until 7 pm on Saturday, so we didn’t have a chance to try it). On the second day in York, we headed to the York Dungeon first thing in the morning. 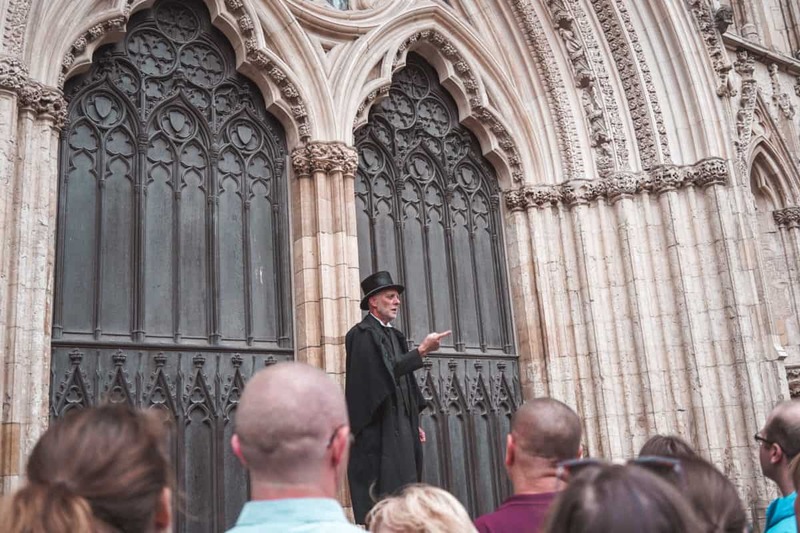 The attractions in York open around 10 am and close from 4:30 to 5:30 pm, so you only have 6-7 hours to see them, so you have to be selective and set your priorities. After the York Dungeon, we visited the York’s Chocolate Story – my favourite museum/attraction in York. If you could only choose one attraction to visit in York, I would recommend you visiting the York’s Chocolate Story. Afterwards, we headed to the Minster, but couldn’t get to the central tower as it was fully booked until 3 pm that day. Instead, we decided to go to the Barley Hall – for which I had zero expectations, but it turned out to be my second favourite museum – read THIS post to find out why. 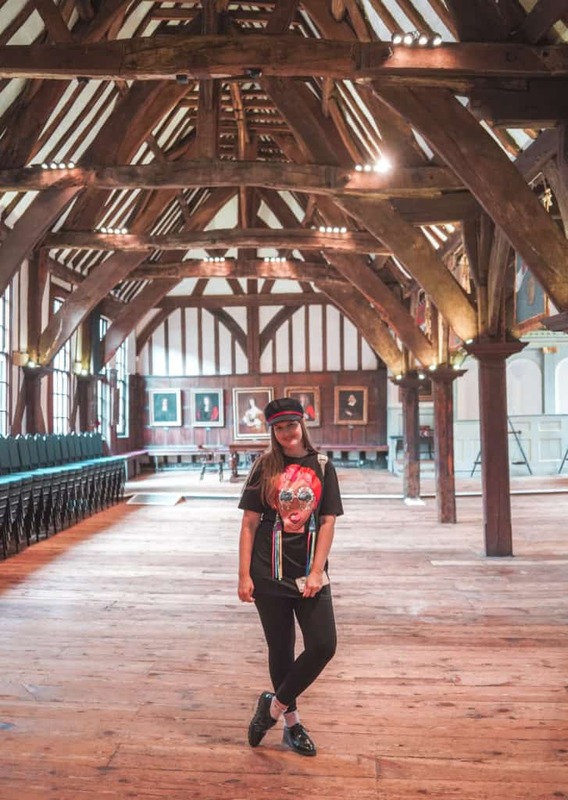 Later on, we went to the Merchant Adventurers’ Hall that had the most beautiful and impressive Guildhall I’ve seen in my life and finally, had a chance to have lunch at about 4 pm. We were looking for a budget joint, but unfortunately, we haven’t found any great independent burger joints in York, so we decided to go for a chain – Byron and didn’t like it much, so definitely not recommended. There was a fabulous Fish and Chips shop just opposite the Yorky Pud – I’d recommend you try that one instead! Finally, we finished our visit to York by visiting the Fossgate Social where I finally met Maja from Away with Maja – she’s an excellent blogger, and she is based in York and travels a lot across Europe on the budget – please do check her blog out! 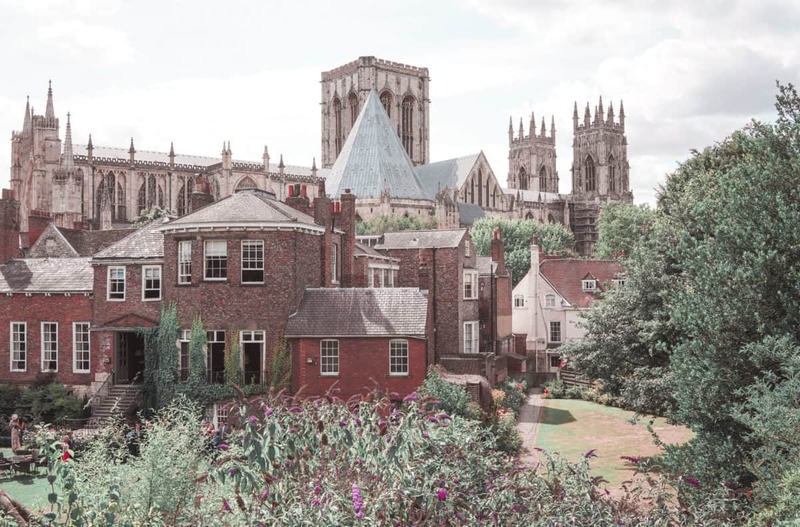 I hope you liked this post about our weekend in York: 2-day itinerary for York, the little gem in the North of England! Should you have any questions, don’t hesitate to ask.